“Normal” Team Members are your staff members that need to Jibble In/Out in the way that you want them to. Rules and restrictions setup in Policies apply to these team members. 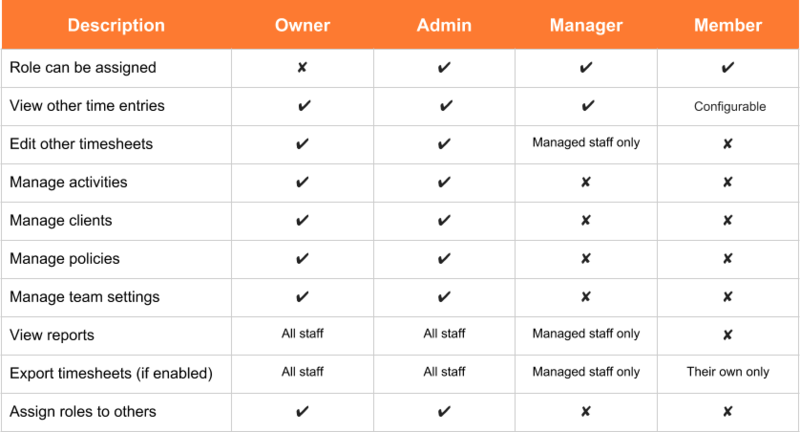 If you have staff members that need to administer and access mostly everything then make them Team Admins. This includes assigning roles and even editing subscriptions details. Typically only a few users have will be assigned this role. Every team has only one Team Owner, the creator of the team, and they have all the same rights as Team Admins but in addition they can never be removed. They can be changed though. Just shoot us a message if you need to do this. NOTE: If you have multiple teams and want to enabled consolidated invoicing when paying subscription, then the team owner will need to be the same. In the example above, this user would now be a Team Admin. If he was logged in as a Normal Member they will need to logout and login again (or perform a hard refresh, on Windows this is Control + F5, for Mac this is Shift + CMD + R).